Overnight Oatmeal this has become favourite meal in my family and I make this atleast twice a week. 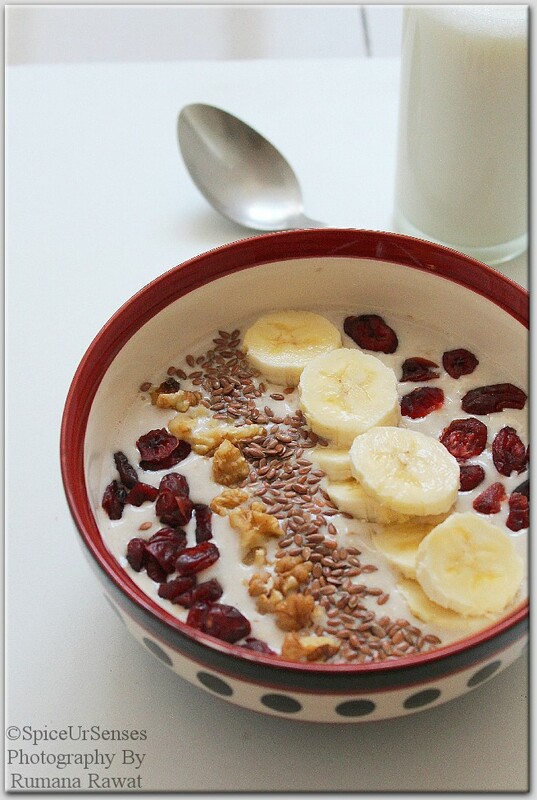 It makes a morning job easy and gives a quick meal of the day, which keep the whole day energetic and healthy. 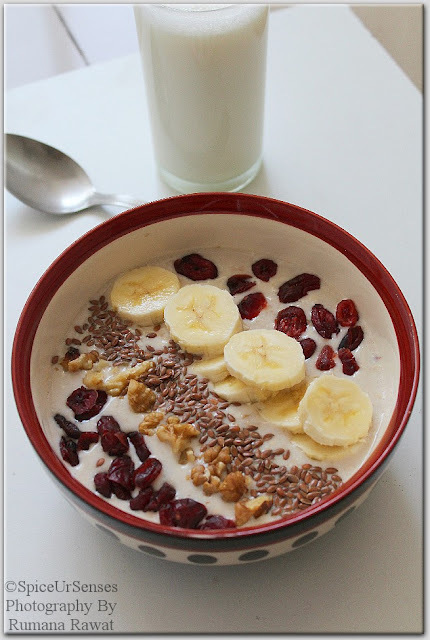 In a large bowl, add the oats,curd,milk and honey. Mix it well and refrigerate overnight. 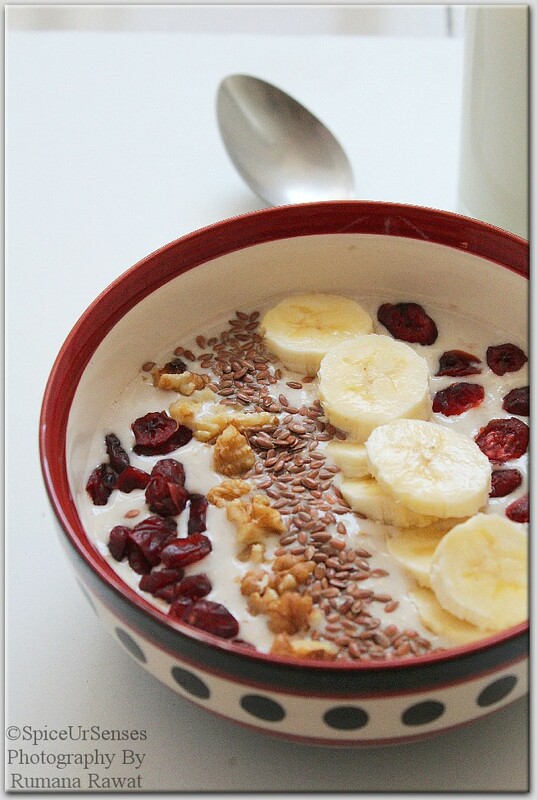 Next day, In a large serving bowl, add the soaked oats and garnish with dry fruits, banana, flax seeds and cranberry. 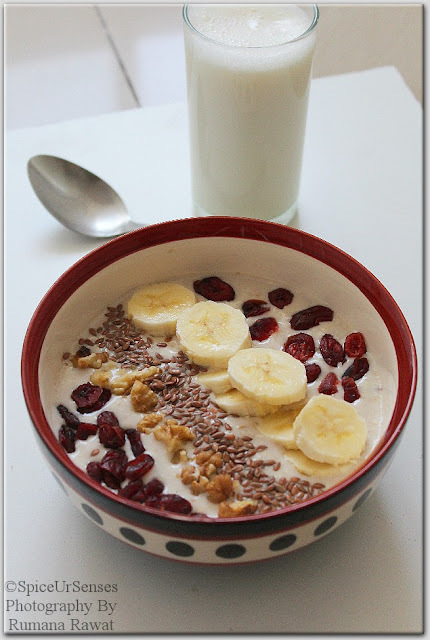 I love this breakfast.. we can make with many variations. A healthy and very tasty breakfast! Yeah.. and everything taste delicious even I make many variations..